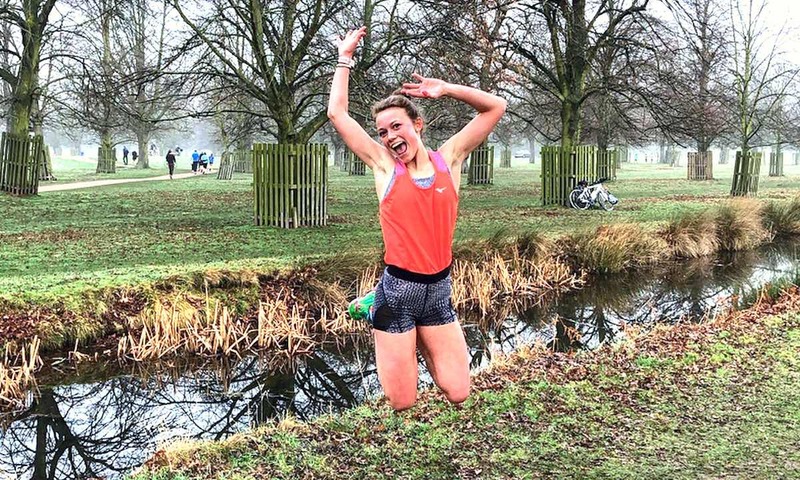 Hannah Irwin reminds us why we should enjoy every step of the journey. Be proud of the progression you make, no matter how small. I quite frequently forget how important it is to enjoy the journey I am on. I become so fixated on the future of where I want to be compared to where I am now, that I overlook all the progress I am making whilst trying to get there. I am currently in my final year at university and the future is very uncertain. I am someone who likes to know exactly what I am doing next and how I am going to do it. Looking at the next few years ahead and not quite knowing where I am going to end up and what I am going to be doing can seem extremely daunting at times. I have no idea where my life will take me, but that’s exciting! At least, that’s what I know I need to believe. I have applied to do a masters in creative writing, but my offer is conditional, therefore the future is even more uncertain. I have decided to give my all to my running to see what I can achieve. I don’t know if I will go anywhere with it, but I am willing to give it everything and see what happens. I love what I do, so why not give it a shot?! I love running, and I love racing, therefore I am enjoying seeing where this journey might take me. Whilst I am still a very long way from where I want to be, it is so important to enjoy the journey and not always be fixated on the endpoint. This is much easier said than done, and I frequently worry about the unpredictability of the future, but I know how important it is to enjoy every day, as we never know how long anything lasts! Where am I training wise? I am now just over six months into full training following my injury and I am enjoying seeing slow, but sensible progressions. Training is very gradually increasing, and physio, strength and rehabilitation work is still very much a rife part of my training. Whilst I am nowhere near where I want to be, the progressions are coming, and this is proving that all the hard work is paying off. It is nice to see that all the training and dedication is worth it. I am always so focused on what I can do next, and what I need to do in order to improve, that I frequently forget to celebrate the little milestones. It can be easy to forget how far I have come. No journey is easy, and I can definitely say mine hasn’t been so far, but it is the difficulties that make you appreciate the highs so much more. And it is the difficulties that make everybody’s journey unique. 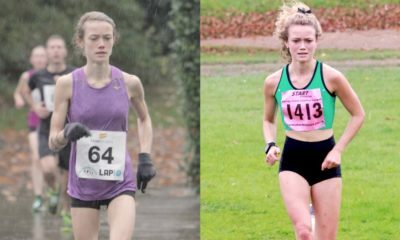 Two years ago, I was suffering from severe anaemia and malnourishment; my body was struggling with the demands of daily life, let alone the stress of training! 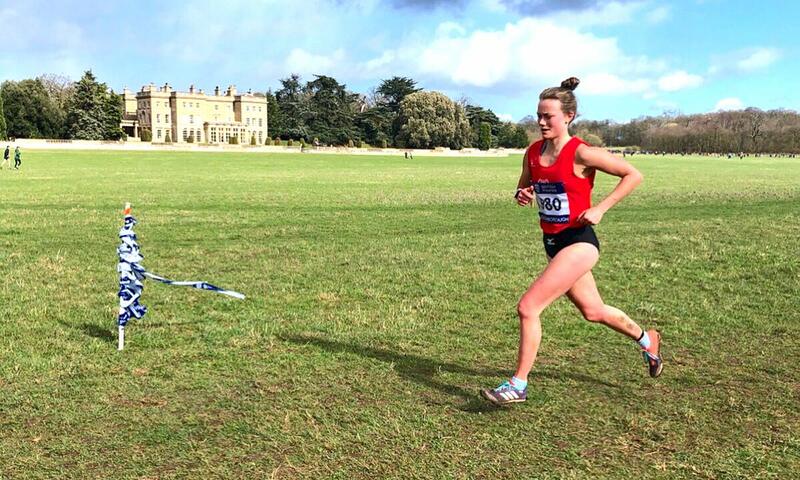 I had qualified for the national Inter-counties in Loughborough (who knows how! ), but inside I knew I wasn’t up to it. I went into the race scared for myself. I was scared to witness the reality of how my health had affected me. I finished the race, but it was the longest 6k I have ever done! I finished 174th, and practically crawled across the line. My dad (a hero) was shouting for me, telling me to keep going, despite witnessing what I am not proud to say was an embarrassing attempt at trying to be a runner. I was miles from my full potential, but it was all self-inflicted. Two years on, I went into the race feeling stronger than I ever have done. Whilst the weather was vile, and the wind was brutal, I was so proud to be out there racing. I fought the entire way. Whilst it was a battle, it was not one against my weak body, it was against the weather! 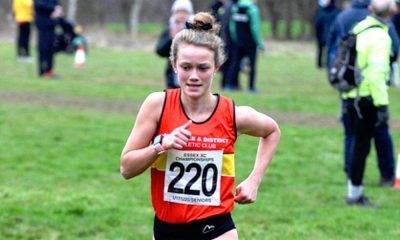 As I crossed the line I can honestly say I was pleased to say goodbye to cross country for the season, but also goodbye to the past memories I had of the Inter-counties! Whilst I had made a massive improvement on my previous performance, I couldn’t help but feel slightly disappointed. I didn’t feel as though I had done myself justice, but this was rubbish. I had given it my all, and that was all I could have asked for. Following a full race analysis with my coach and boyfriend, I realised just what I had done. I had made a 136-place improvement on my previous performance, coming in 38th, but more importantly, I had raced with strength and power. I had a healthy body, and my parents were shouting for a runner, rather than a weak little girl. Whilst miracles don’t happen overnight, this improvement is something I need to be proud of. At times I forget the rollercoaster few years I have had, but when I remember, I realise how much I need to enjoy every moment of the journey I am on. It is exciting, and even if it doesn’t lead anywhere, I am having a blast trying. It doesn’t end there. Just over two years ago, I was scared to race 5k. I hadn’t raced a parkrun since having to pull out 1k in, due to exhaustion. My last proper parkrun had been in 2014 (when I was 15!) and I had run a PB of 19:49. Just before my injury I had managed to race a few 5k’s on the road, but this didn’t last long. My body still wasn’t strong enough. I had the determination to run faster, but I didn’t have the body to go with it. I didn’t know what the year ahead would bring me! Post-injury, with a much healthier body, I set myself the goal of breaking 17-minutes at the end of 2019! I decided I would do Bushy parkrun in February to give myself some speed practice before my next race. Little did I know, I would cross the line in 16:59, breaking my year-long goal within two months! It is so important to enjoy every step of your journey and be proud of the progression you make, no matter how small. Whilst my goals may be bigger than what I am achieving now, it is so important to remember how far I have come in the past few years and be proud of the progressions I HAVE made, rather than always focusing on what I HAVEN’T done! If we get bogged down on what we haven’t achieved, we forget to enjoy the journey, and that’s the exciting part. Whilst the future may still be uncertain, and I don’t know where I will be in a few years, there is no point worrying about factors I can’t control. I don’t know where I will be job wise (I have no idea what I want to do) and I don’t know where I will be running wise, but everything will evolve. I need to remember to make the most of every day and enjoy not knowing where I may end up. The future is exciting, but the present is even more exciting; it makes us who we are in the future.